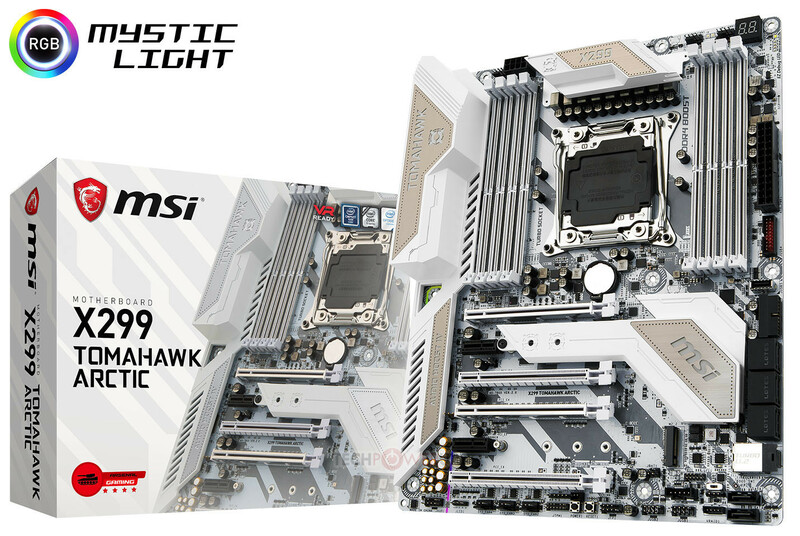 MSI today introduced the X299 Tomahawk Arctic motherboard. 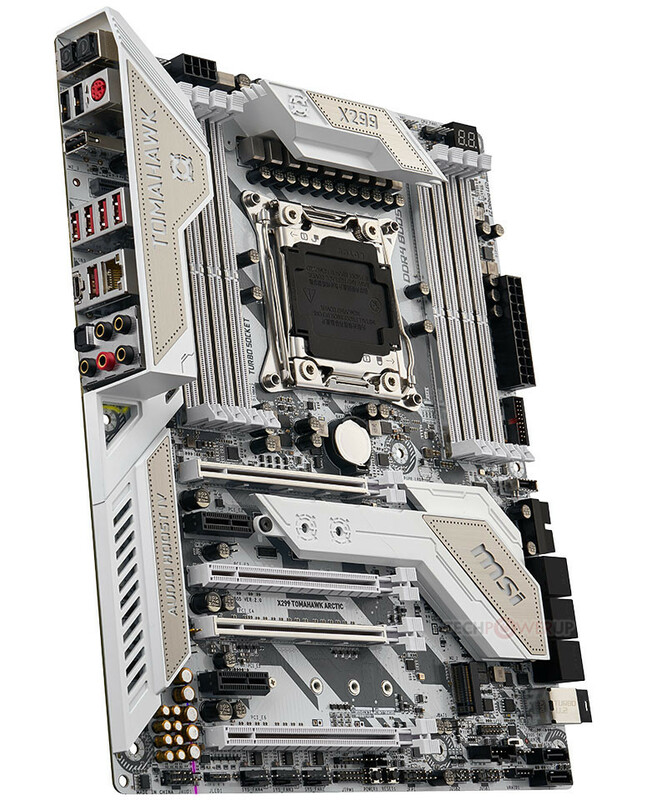 A near-identical variant of the X299 Tomahawk, the board features a mostly-white color scheme with grey and black accents. It features a white PCB with grey streaks. The white scheme carries over to the chipset and VRM heatsinks, the rear I/O shroud, the eight DDR4 DIMM and four PCI-Express 3.0 x16 slots. The heatsinks and rear I/O shroud also feature brushed-aluminium inserts for added style. 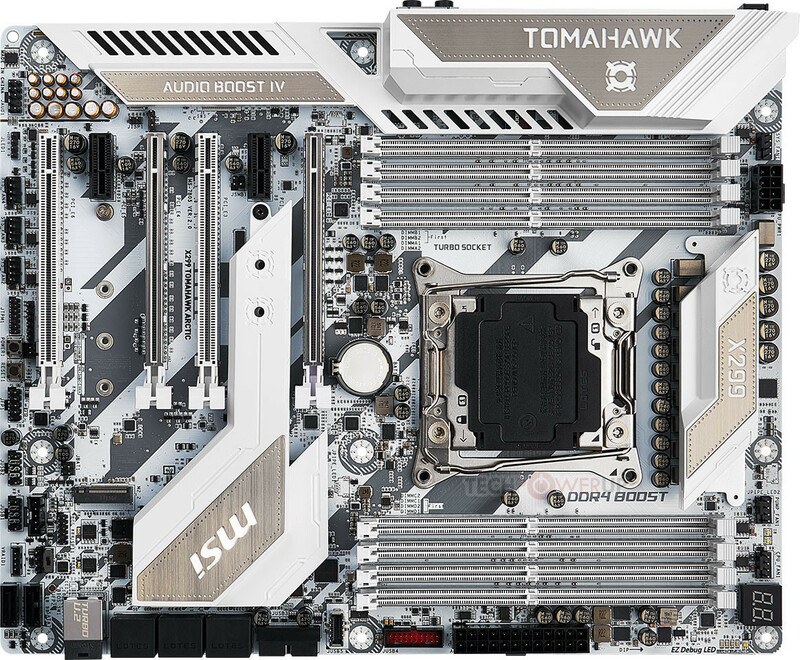 The X299 Tomahawk Arctic is a bustling metropolis which draws power from a single 8-pin EPS connector besides 24-pin ATX. The board features a 9-phase CPU VRM, and 4-phase memory. The CPU socket is wired to eight DDR4 DIMM slots, and four PCIe 3.0 x16 (x16/NC/x16/NC or x16/NC/x8/x8 or x8/x8/x8/x8 with 44-lane CPUs; x16/NC/NC/NC or x8/NC/x8/x4 with 28-lane CPUs). The first and third slots feature metal reinforcement. Storage connectivity includes two 32 Gb/s M.2 slots, a 32 Gb/s U.2 port, and eight SATA 6 Gb/s ports. Networking is care of a single GbE connection driven by Intel i219-V controller. The onboard audio solution combines a Realtek ALC1150 (up to 115 dBA SNR) CODEC with audio-grade capacitors, and ground-layer isolation. The company didn't reveal pricing. It comes with RGB "Mystic light", so yes it probably has. Wth does "tomahawk" have to do with "arctic"? It's like every manufacturer has hired a dadaist artist to name their products these days. Tomahawk is the placement in the lineup, artic is the color. It actually uses a ALC1220 (source). I really like the white PCB and components on this board. 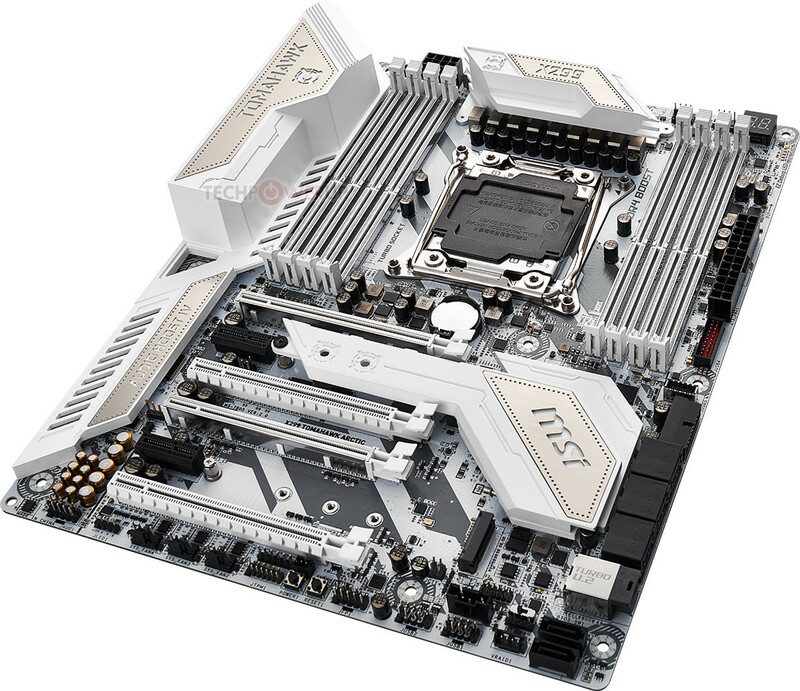 Although I haven't decided on whether or not I'd be willing to run an MSI board yet. Either way, this would look great in an all-white build.